SJF Material Handling Inc. is a systems integrator and warehouse consultant company providing industrial material handling equipment and services to clients nationwide. We're also a stocking distributor of new and used material handling equipment and material handling systems solutions. Products include ergonomic safety equipment such as gantry cranes, pallet trucks and hand trucks. Find warehouse equipment & ergonomic solutions via thousands of products now in stock and ready to ship at SJF.com. SJF Material Handling is different from other material handling companies because we have over 20 acres of used and reconditioned material handling equipment in stock. If you're looking for a special size of pallet racking or conveyor handling system, SJF's featured products encompass more makes & models of warehouse equipment than any systems integrator in the material handling industry. If you need, we can even recondition and repurpose your existing used equipment products, breathing new life into used products. SJF can handle all stages of any project you are planning; everything from design and layout to shipping and installation. We take our customer's needs and concerns very seriously at SJF. We'll work with you to get your ideas from paper to real world solutions that enable you to see the return on your investments in months instead of years. Listed here is an overview of just a few of the key equipment solutions by way of warehouse equipment products we stock in order to service the unique material handling needs of our clients. 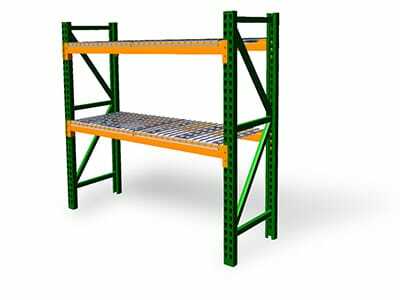 SJF is the largest stocking distributor of new pallet racks and used pallet racks and warehouse storage systems in the USA today. If it was ever manufactured, we probably have it! 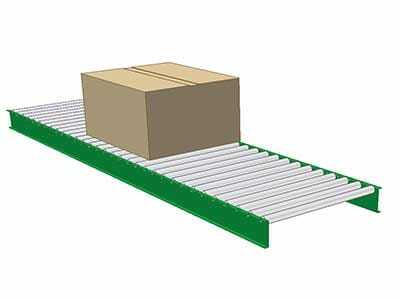 In fact, you won't find a better source anywhere for all your pallet rack needs. Conveyor systems are our specialty! With several miles of gravity and power conveyors in inventory, we have what you need when you need it. SJF has gone the extra mile for our customers in order to stock just about every make, brand, model and size of conveyors you could ever want. 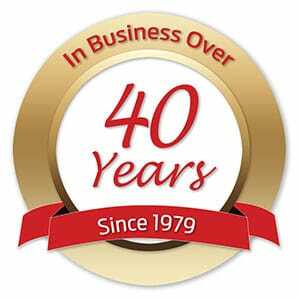 Our conveyor experts are some of the best in the business. We have the expertise to do everything from control panels, programming PCs and speed control synchronization. SJF will do whatever it takes to get any system our customers purchase up and running ASAP. At SJF, we not only provide a wide array of conveying equipment, but we can also design, assemble and install conveyor systems. Our staff is eager to assist you with any questions you might have. With SJF, you can be confident that you will have real pros providing the equipment and solutions that are right for you. 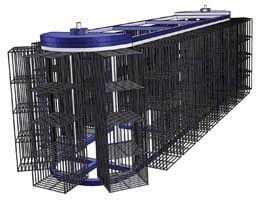 Save on used vertical and horizontal carousels, shuttles and ASRS equipment. At SJF Material Handling, we have all the popular brands including: White - Buschman - Raymond - Saratoga - Remstar, to name a few. We have everything from basic foot-controlled units to completely automated computer-controlled carousels. We also have several reconditioned units that look and run like new. If you've been thinking about putting in a carousel or are interested in how a carousel can save you money, give us a call today. We have some beautiful horizontal carousels and vertical carousels in stock.